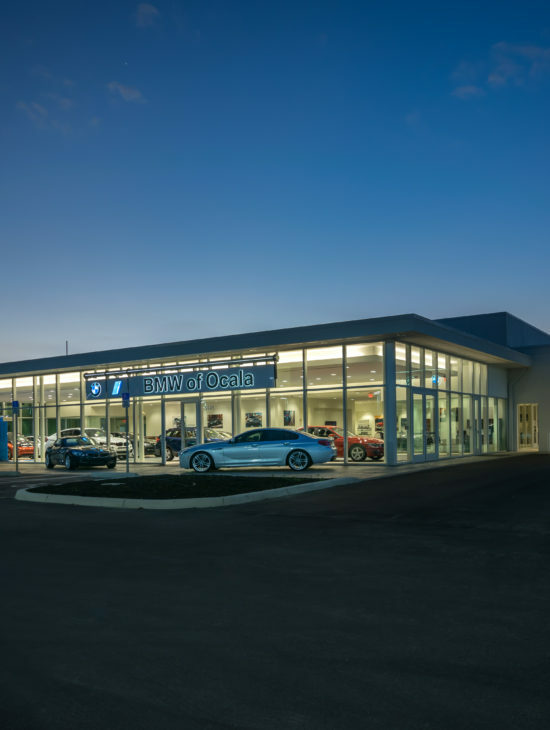 BMW of Ocala – Spring Engineering, Inc. In 2012, Spring Engineering, Inc. was again commissioned by the Gettel Automotive Group to develop and design a 22 acre site containing three separate automotive franchises. 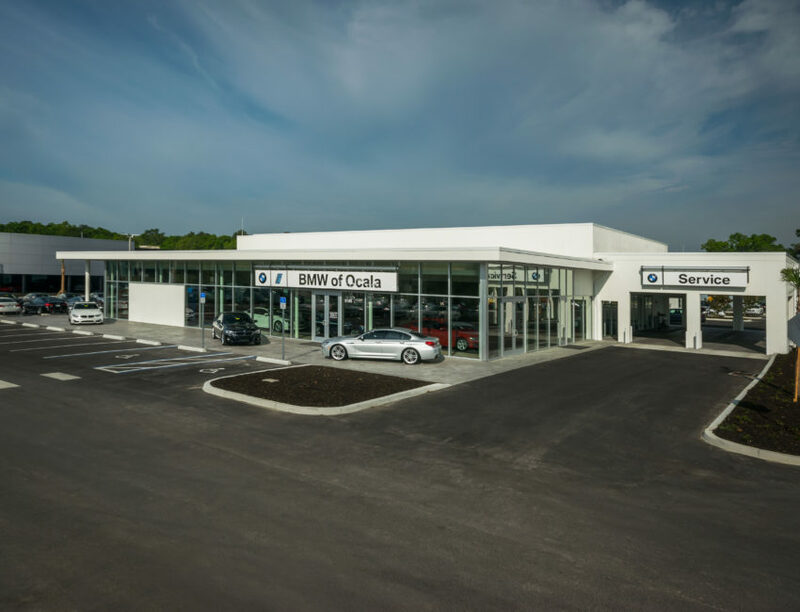 One of these three dealerships, as shown here, was BMW of Ocala. 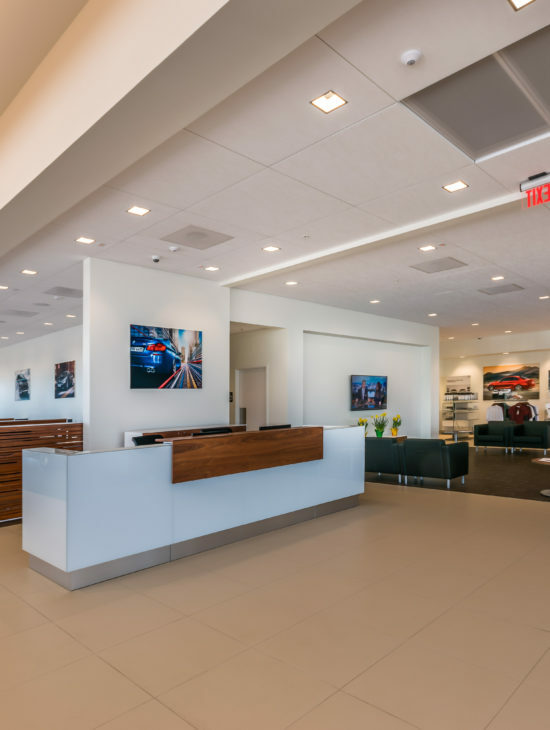 Encompassing 21,538 S.F., the single story BMW Ocala consists of a high end showroom to display the BMW brand, a state-of-the-art 12-bay service department, parts storage and administrative offices. The linear façade is an arrangement of highly energy efficient window systems to create a glass box appearance to display the brand and also allow large amounts of natural day lighting to enhance the customer experience. This project also includes a standalone 3,345 S.F. carwash facility. The dealership is located at 5145 Southwest College Road in Ocala, Florida just west of I-75.